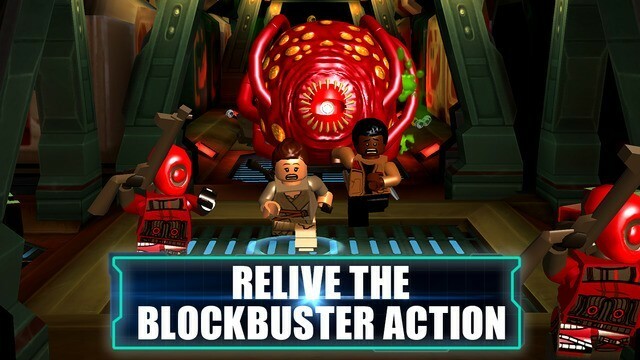 If you can’t get enough of the Star Wars action, pick up your iOS device and go LEGO. The freshly launched brick version of the popular movie called LEGO Star Wars The Force Awakens is now available on the App Store for download. Whether you’re an adult or a kid, its hard not to love LEGO games. In The Force Awakens, you are guaranteed to enjoy the exciting new, never-been-seen-before gameplay mechanics like the Multi-Builds and Blaster Battles. Blaster Battles feature a cover and engage strategy, which makes for intense battle experience. The Multi-Builds option lets you choose from multiple buildings and adds an interesting element to solving the game’s puzzles. You can play any of the heroic game characters including Rey, Finn, Poe Dameron, Han Solo, Chewbacca, C-3PO, BB-8, Kylo Ren and General Hux. There are well-known scenes from the movie that you can enjoy while playing as well. Other fun elements include piloting vehicles like the Millennium Falcon in arena-based aerial battles and dogfights. 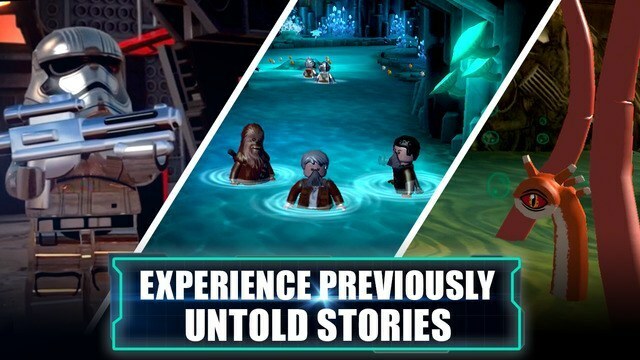 LEGO Star Wars also includes several untold story levels that are based on the events leading up to the Force Awakens story line. Pay $6.99 and unlock the entire games with 24 free story and free play levels. Pay $9.99 and purchase the All Content Season Pass. This includes the game, a prologue chapter, 3 new adventures (Poe to the Rescue, Rathtar Hunting, and Ottoman Assault) with 4 character packs. 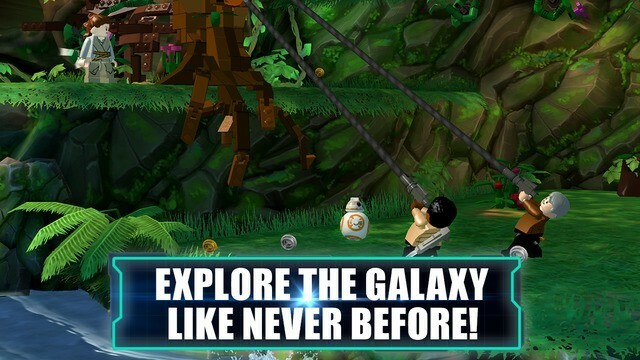 LEGO Star Wars The Force Awakens has been well made as an iOS game. It has great humor, authentic character voices and fresh new features make the new game a must-have for any Star Wars fan. Discover more cool iOS games for your iPhone or iPad in our Archives section.